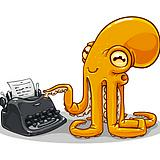 We are very happy to anounce that we have moved to Octopress as our blogging platform. It’s been a very smooth transition and we’re enjoying immensely the ability to write clean semantic posts on top of a solid Ruby platform. As another Octopress user put it: “Ruby is not just about Rails” and in this case we couldn’t agree more. configuration. But with Octopress All of that is already taken care of. Simply clone or fork Octopress, install dependencies and the theme, and you’re set. It looks like both Jekyll and Octopress have been gaining momentum for the past year with a lot of users going back to the roots of the clean, semantic, standarts compliant Web, and it’s a trend that we here at Ruby Studio deeply appreciate and support.